The bustling and vibrant street of Gandhi Chowk is known as the lifeline of Dalhousie. If you want to buy unique handicrafts and experience local talent, then Gandhi Chowk in Dalhousie is the place for you. Also known as GPO, this place is filled with various markets and shops; ranging from The Tibetan Market, the Himachal Handloom Industry Emporium, Himachal Handloom and Crafts Centre and Tibetan Handicrafts Centre. There is a plethora of various small shops to fulfill your list of gift items. All the major buildings and hotels are situated here, at GPO. The Tibetan market is a popular spot, which offers a variety of goods including bags, dolls, carpets, purses and handicrafts. The Himachal Handloom Industry Emporium on Thandi sarak is known for its traditional Kashmiri shawls; which reflects the intricate craftsmanship of the locals. 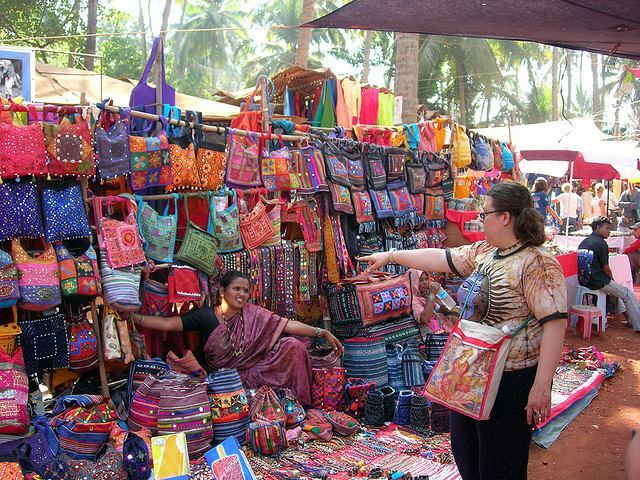 These handicrafts are unique in their own way. Bhuttico was established by local women in the mid 19th century. It offers a wide range of the famous Kullu shawls; made from lamb's wool, angora, pashmina. Recently, they have also started making the popular embroidered shawls.